(Newport, Oregon) - The famed tall ships with the Hollywood pedigree are returning to Newport twice this year, starting in April. This is the only appearance of the ships on the upper half of the Oregon coast this year. The vessels will be in Coos Bay, on the southern coast, from April 14 – 17. The Astoria appearances have been cancelled. 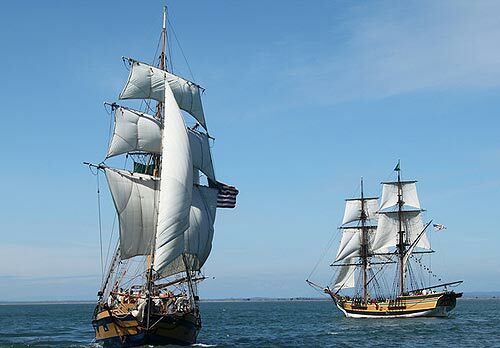 The brig Lady Washington, the official tall ship of the state of Washington, and her companion vessel, Hawaiian Chieftain, are stopping in Newport in April and a second time in July. The first stopover is April 18 through April 29, and then again from July 12 through 29. The ships will arrive at the Port of Newport, 600 SE Bay Boulevard, Newport, and offer tours and some remarkable excursions. Last year’s mechanical difficulties with one ship are bringing the Washington-based group back for a second run in the summer. Lady Washington has been in movies and TV, such as Pirates of the Caribbean: The Curse of the Black Pearl, Star Trek: Generations and Once Upon A Time. The Lady Washington spent more time under Hollywood’s lights in the last year with the Once Upon A Time crew filming more episodes on its already-famous decks. 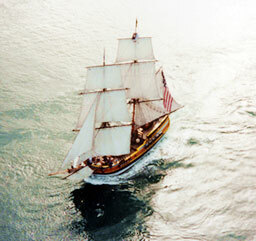 The Lady Washington will be in Newport from April 18 – 23, joined soon after by the Hawaiian Chieftan on April 20. This set will include evening sails and adventure sails, as well as vessel tours from the dock. For something really extraordinary, there will again be the exhilarating battle sails. Both vessels are certified by the U.S. Coast Guard as passenger-carrying vessels and crewed by professional sailors and trained volunteers. Walk-on tours are self-guided visits of the ships hosted by crew in period costume. A $5 donation per person is appreciated. 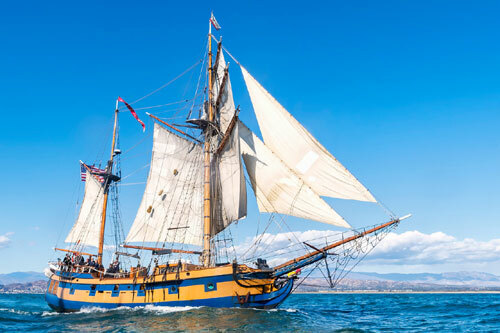 Battle Sails are three-hour excursions recreating the look and feel of an 18th century naval skirmish with real gunpowder, real cannon, but no cannon balls. Tickets are $42 - $79. Passengers in the two-hour, family-oriented Adventure Sail are invited to help the crew raise a sail, sing a sea shanty, and take the helm of a real tall ship, conditions permitting. Tickets are $42 - $49. The value-priced Evening Sails offer programming similar to Adventure Sails. Evening Sail prices are $42 - $49. To purchase tickets, call 800-200-5239 or visit www.historicalseaport.org. Early reservations are strongly recommended. A ticket is required for all passengers, including babies. Children 12 and under must be accompanied by an adult. Refreshments are not provided, but guests are welcome to bring their own (no glass containers, please). Accessibility is addressed on a case-by-case basis, and you’ll need to talk to the crew ahead of time to be sure they can accommodate your needs.